KEEN. 1017790. ANCHORAGE III BOOT. DARK EARTH.The Anchorage Boot offers the warmth and all-season traction of a winter pack boot. 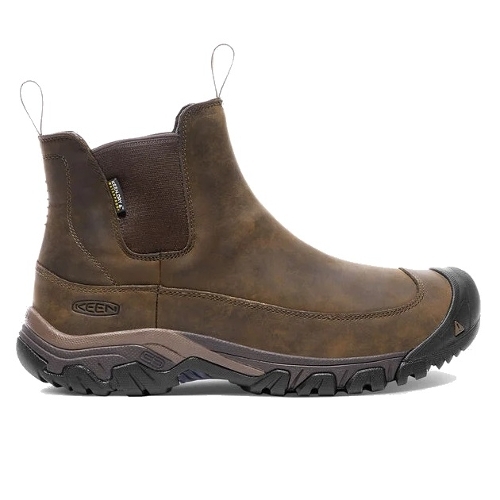 It boasts a handsome leather upper and an aggressive dual climate rubber outsole enabling this boot to stand up to harsh conditions with a clean look.